It was really frustrating - no amount of washing with my regular detergent could get the smell out. This set me on a quest to get rid of the smells from my clothes, once and for all. If you'd like to get rid of the sweat smell on your clothes, read on. As an added bonus, these tips will work on getting rid of any lingering foul odors. The smell of sweat in clothing is most commonly caused by an accumulation of sweat and bacteria from your body. In addition, how you store your workout clothes can make matters a lot worse. For example, leaving sweaty clothes in your gym bag or locker leads to a build-up of rapidly multiplying bacteria. Workout clothes (the dri-fit kind) are made out of polyester fabric instead of cotton. In a study done on the odor profile of polyester and cotton clothes after a fitness session, polyester clothing after a spinning session "smelled significantly less pleasant, and additionally, more intense, more musty, more ammonia, more strong, more sweaty and more sour". Nasty! It's not all bad news though. With a little time and some extra effort, you can get the smell of sweat and other odors out of your workout clothes. You just need to know the rules of washing gym clothes, which are a little different from washing other pieces of clothing. I guarantee you that it's well worth the time and effort. 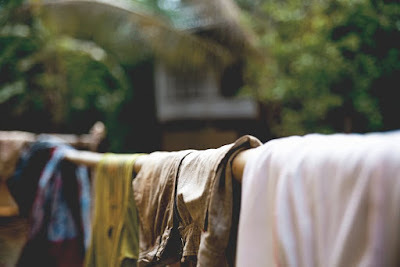 Probably the one i'm most guilty of, I tend to throw my sweaty clothes onto the floor and let the sweat dry up, forgetting about them till the end of the week, when it's time to do the laundry. This isn't helpful at all. Sweaty clothes stay in the pile or in the wash-basket allow bacteria to grow and multiply, which in turn causes the smell to only get worse. Similar to throwing your clothes onto a pile on the floor, another common mistake is to leave your sweaty clothes in your gym bag or locker till you do your laundry at the end of the week. This is truly a recipe for disaster. Fabric softener is doing your gym clothes no favors. First, it creates a barrier that locks the bad odors into your clothes. Second, fabric softener also tends to break down the stretchiness of your gym clothes. Avoid fabric softener when washing your gym clothes at all costs. The first thing you should try to do is to wash your gym clothes immediately. Wash them when they're sweaty so that you don't let the bacteria to build up in them. Remember the proverb, "a stitch in time saves nine". This really was the miracle find for me. 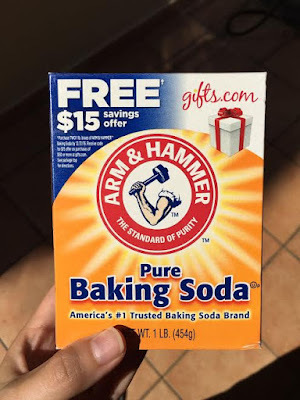 Simply put a cup of baking soda into the washing machine with your sweaty clothes and let the odor disappear. Alternatively, add a cup of baking soda to a pail of water and let your smelly clothes soak in it for half an hour. Follow up by putting the clothes in the washing machine for a run. Soak your smelly gym clothes for half an hour in a pail of water with a cup of white vinegar added to the mix. Rinse your clothes by putting them for a spin in the washing machine. If you think your clothes still need them, you could add some white vinegar in the washing machine too. Overall, I found this method to be slightly less effective than the baking soda but it was still better than ordinary detergent. 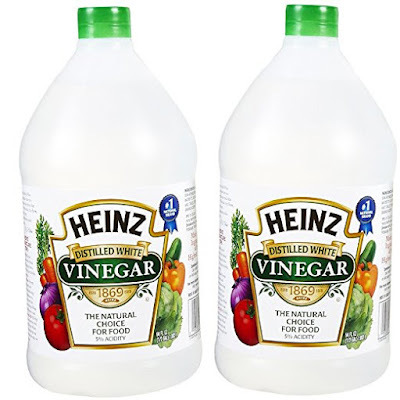 To save money, remember to buy white vinegar in gallon-sized bottles if you intend to use it for cleaning purposes. Definitely more cost-effective. The ultraviolet radiation in sunlight works as a natural disinfectant and helps to kill some of the remaining bacteria on your clothes. While it can only help to sun your clothes, this isn't a game-changer like baking soda and vinegar. 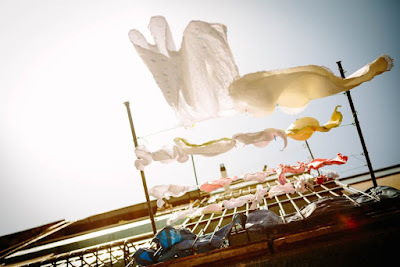 I hope you've found these tips on how to avoid and combat the sweat odors in your clothes useful. Here's to great smelling clothes in 2017 and beyond! I also wanted to take this opportunity to mention that there are a few affiliate links to some of the products i use in the article above. Thank you so much for your support these past couple of years. We couldn't have done it without you.